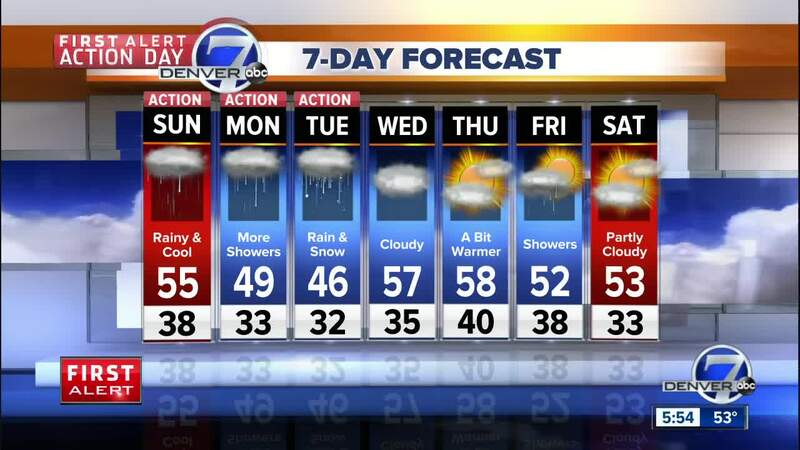 DENVER — A First Alert Action Day is now in effect through Tuesday for rain and snow affecting Denver and the Front Range for the next several days. A few systems will impact the region for the end of the weekend and into early next week. Showers and thunderstorms will develop in the afternoon and become heavier into the evening for Denver. Be sure to bundle up for the Rockies game that begins at 2:37 on Sunday. There will be rain with temperatures in the 40s and 50s. In the mountains, temperatures will be in the upper 30s to middle 40s, with a mix of rain and snow in the valleys and snow above 9,000 feet. A few inches will fall over the weekend on the highest peaks. 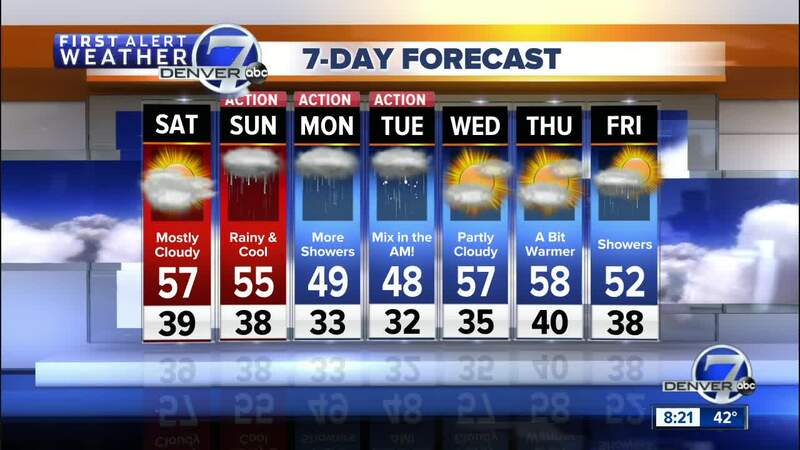 Depending on the track of the storm, there could be some rain and snow mixed in Denver Tuesday morning and again on Tuesday night. Monday and Tuesday will be quite chilly, with morning lows in the 30s and highs in the 40s and 50s.